Ex-Pat's and Geno's: Vindaloo, vindaloo, na na! For all of my World Cup apathy, I must admit I'm excited about the match up between the U.S. and England today. It's not so much because of the sport, but because it elicits a really strong memory of a very cool time in my life. I was 14 when I participated in a US/UK exchange program. Kirsty came over first, for two weeks, and bought jeans and Maybelline mascara (the dollar was super weak compared to the pound at the time). I went over after school ended for two weeks and it was during the 1998 World Cup. It was in France, I believe, and the UK did quite well. The whole Brady family was into soccer and so was I (I was still playing at the time). One of my first purchases (in addition to about 5 pair of cool Adidas wind/snap pants... those were so all the rage and, just like today, Adidas's international lines are way more colorful and interesting than what we have in the U.S.) was a red 3 Lions jersey. Kirsty was totally incredulous at the time and thought I was a spoiled American. I had no idea why until two days later when I did the conversion in my head. The jersey was well over $100. Sorry mom. I don't remember who played or who won, but I remember the barrage of fight songs that were popular at the time. "Three Lions" was a big one, popular with the boys in our group, but it was a little slow for me. 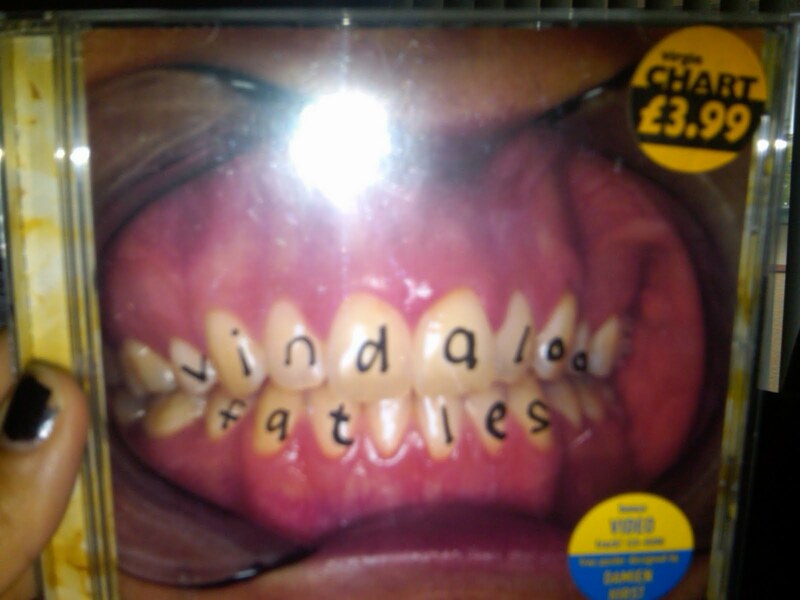 My favorite fight song was "Vindaloo" by Fat Les. The chorus was so damn catchy (in the vein of "Ole ole ole... ole. Ole."). 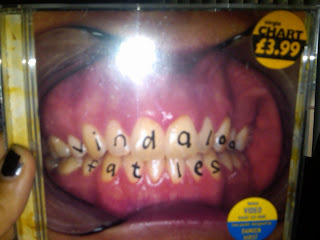 I even bought the CD single (photographic evidence below) but cannot for the life of me find the actual CD.